Designed by Alexander Blair and constructed by J. H. McKenzie & Sons, this is the third courthouse built in Mount Vernon. Blair, whose most notable work was the Grand Opera House (1884) in Macon, designed eight courthouses in Georgia. 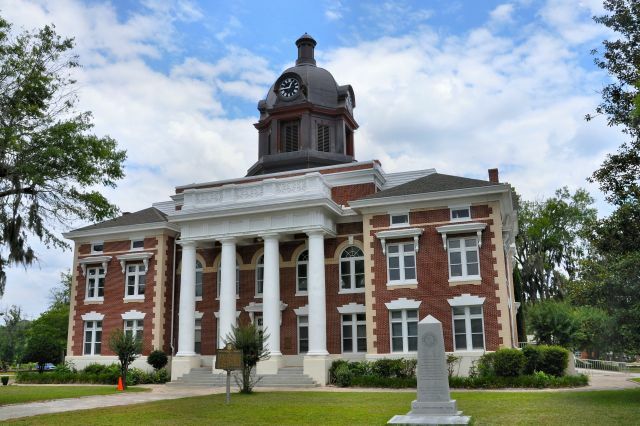 This is virtually identical to the old Grady County Courthouse that burned in 1980. I always thought it should have been rebuilt in this design rather than the current 1980s faux-colonial. facelift somewhere along the way.